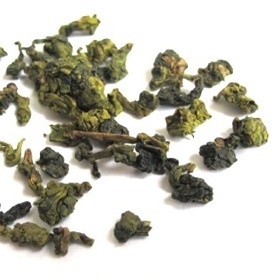 Guan Yin Wang Oolong Tea is our highest grade Tie Guan Yin. This tea is much richer than most Tie Guan Yin tea. It is vibrant in color and has beautiful shape of the tea leaves. It is known as the King of Tie Guan Yin Tea. The word Wang simply means King in Chinese. For Tie Guan Yin lover, you will love this selection. Spoil yourself today with our Guan Yin Wang Oolong Tea. Unlike normal Tie Guan Yin, this tea has an uplifting orchid aroma. Very refreshing and soothing once the orchid-fragrance fills the air. Magnificent fragrance and aftertaste. Can be infused several times. Tightly curled dark jade greenish leaves. Fine liquor with emerald colour. We recommend using purple clay or porcelain tea ware. Rinse tea cup and teapot with hot water. Fill the teapot 2 grams (1-2 teaspoons) tea leaves for every 225ml of water. Steep tea leaves in hot water at 95°c (203°F) for 1 minute for the first and second brewing. Gradually increase steeping time and temperature for subsequent brewing. This is an ok cup of TKY. Touted as TeaCuppas highest grade Tie Guan Yin, this one left me unimpressed. Lacking in body, sweetness and complexity. The lower grade takes higher marks for taste. This tea is tasty and has a good aroma. Nice tea on a cold winter morning.